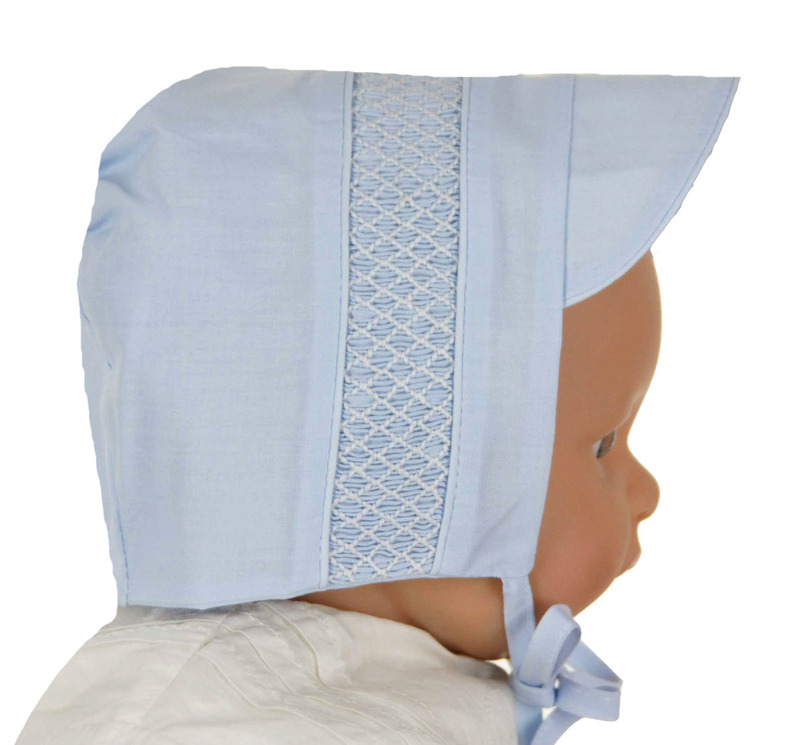 This beautiful new blue cotton blend hat is made by Feltman Brothers. 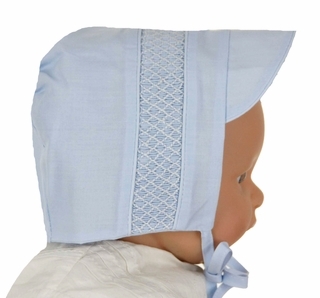 It features an inset band of white smocking with a front bill and closed crown. The hat ties under the chin with batiste ties. Perfect for a take home hat, or any special occasion! Coordinates with any of the Feltman Brothers blue outfits or daygowns.. 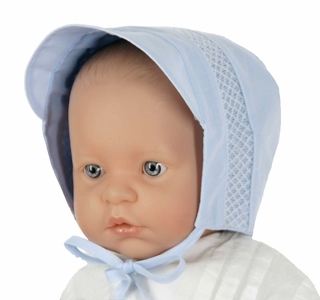 Note: This darling hat is also available in all white or white with blue smocking. See below.